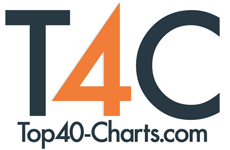 New York, NY (Top40 Charts) City Winery Chicago, 1200 W. Randolph Street, announces versatile jazz master Chick Corea and more. The following shows go on sale to the public on Thursday, May 31 at noon. All tickets will be available at citywinery.com/chicago. Reverend Peyton's Big Damn Band, Devil in a Woodpile & more! - 4th of July Patio Party - Wednesday, July 4; 3:00 p.m.
Southern Indiana-bred singer-guitarist Reverend Peyton is the bigger-than-life frontman of Reverend Peyton's Big Damn Band. He has earned a reputation as both a singularly compelling performer and a persuasive evangelist for the rootsy country blues styles that captured his imagination early in life and inspired him and his band to make pilgrimages to Clarksdale, Mississippi to study under such blues masters as T-Model Ford, Robert Belfour, and David "Honeyboy" Edwards. The lifelong pursuit of musical authenticity was instilled in his musical consciousness while Peyton was growing up in rural Indiana, where his early love for blues, ragtime, folk, country and other traditional styles gave him a sense of direction that would soon manifest itself in his own music. He and the Big Damn Band won a large and loyal fan base, thanks to their tireless touring efforts and high-energy showmanship, along with such acclaimed albums as Big Damn Nation, The Gospel Album, The Whole Fam Damnily, The Wages, Between the Ditches, So Deliciousand the Charlie Patton tribute disc Peyton on Patton. Listening to Liz Longley is like diving into a vivid dream, moody and somehow both familiar and strange. At first, the dream belongs exclusively to Longley. But, as she sings what she's trying to know--her lovers, her place, herself--her fierce candor shatters any walls that may have separated us, and the dream we're swimming in becomes more than just Longley's. It becomes ours. Weightless is the highly anticipated follow-up to Longley's 2015 self-titled release, which garnered praise from American Songwriter, Huffington Post and CMT Edge, to name a few. The new album delivers bold, thick pop with rock-and-roll edges. The starkly personal lyrics explore complexities and even dysfunction of relationships. Her award-winning songwriting is stronger than ever, and producer Bill Reynolds, the bassist of Band of Horses (also produced the Avett Brothers, Lissie) helps embrace a lush pop-rock approach which marks a musical evolution for Longley. As a teenager, Scott Mulvahill picked up the bass guitar on a whim. Natural talent and the lure of a challenge drove him to be the best musician he could. Continuing to play the bass, he also began to explore guitar, piano, and singing, and discovered his love for songwriting. With the encouragement of a mentor, he studied music in college and chose to pursue a career. Since then, he's shared the stage with some of the greatest artists of modern music - Ricky Skaggs, Alison Krauss, Barry Gibb of the BeeGees, Bruce Hornsby, Brad Paisley, Peter Frampton, Steven Curtis Chapman, Emmylou Harris, and many more. He's also a full-time member of Ricky Skaggs's band Kentucky Thunder. Mulvahill's songs have received honors from the International Songwriting Competition, John Lennon Songwriting Contest, and American Songwriter Magazine's 30th Anniversary Contest, and he has numerous cuts on other artists'albums. He released his first, self-titled album in 2011, and his EP Share the Sky in 2012. He's currently touring in support of his most recent release, Top Of The Stairs (EP). Chris Blue started singing in church at age 3, and he hasn't stopped since. He has left his indelible mark across the globe, touring through England, the Bahamas, Jamaica, and the Virgin Islands. Closer to home, Blue has sung the National Anthem at MLB games and at University of Tennessee sporting events. He has been a featured halftime performer at Knoxville Thundercats arena football games. Blue has lent his "Blue Ribbon" vocals to Erick Baker Grand Torino, Fred Hammond, Kirk Franklin, and his own group, the Blue Brothers. Nationally, appearing on B.E.T., or locally, winning the 2015 Voice-Off Knoxville competition, Blue shares every ounce of his talent with his audience. Blue's versatility and virtuosity extend far beyond his love of pop, R&B, and gospel music and into the fields of dance and acting (TV's "Homicide Hunter" and "Fatal Attraction"). Chick Corea Trio - Thursday, August 23; 7:00 & 9:30 p.m.
Chick Corea has attained iconic status in music. The keyboardist, composer and bandleader is a DownBeat Hall of Famer and NEA Jazz Master, as well as the fourth-most nominated artist in Grammy Awards history with 63 nods - and 22 wins, in addition to a number of Latin Grammys. From straight-ahead to avant-garde, bebop to jazz-rock fusion, children's songs to chamber and symphonic works, Corea has touched an astonishing number of musical bases in his career since playing with the genre-shattering bands of Miles Davis in the late '60s and early '70s. Underscoring this, he has been named Artist of the Year three times this decade in the DownBeat Readers Poll. Born in 1941 in Massachusetts, Corea remains a tireless creative spirit, continually reinventing himself through his art. A venturesome collaborator, Corea has teamed with artists from jazz legend Lionel Hampton to new-generation pianist Stefano Bollani, from banjoist Béla Fleck to vocal superstar Bobby McFerrin. Corea's duo partnerships with Gary Burton and Herbie Hancock have endured decades. Rare for a "jazz musician," Corea received the Richard J. Bogomolny Award from Chamber Music America in 2010, and he broke new ground as a composer with The Continents: Concerto for Jazz Quintet and Chamber Orchestra, released in 2013 by a storied classical label, Deutsche Grammophon. Established as one of the prime contemporary interpreters of the Great American Songbook, World-renowned guitarist and singer John Pizzarelli has expanded that repertoire by including the music of Paul McCartney, Joni Mitchell, Neil Young, Tom Waits, Antônio Carlos Jobim, and The Beatles. His themed shows, often performed with his wife Jessica Molaskey, suggest there is no limit to Pizzarelli's imagination or talent. Having concentrated on the music of Paul McCartney, Johnny Mercer, and Frank Sinatra over the last two years, Pizzarelli has returned to the bossa nova of Antonio Carlos Jobim with his July 28, 2017 Concord Jazz release Sinatra & Jobim @ 50. With co-vocalist Daniel Jobim, grandson of the legendary Brazilian composer, the two explore songs Sinatra and Jobim recorded in 1967 and 1969 as well as add new songs to the mix flavored with the spirit of the classic Francis Albert Sinatra and Antonio Carlos Jobim album. While plenty of jazz greats influenced his work - Benny Goodman, Les Paul, Zoot Sims, Clark Terry and Slam Stewart, among others - Nat King Cole has been Pizzarelli's hero and foundation over the last 25 years. He devoted two albums to his music, Dear Mr. Cole in 1994 and P.S. Mr. Cole,recorded and released five years later. In addition to being a bandleader and solo performer, Pizzarelli has been a special guest on recordings for major pop names such as James Taylor, Natalie Cole, Kristin Chenoweth, Tom Wopat, Rickie Lee Jones, and Dave Van Ronk, as well as leading jazz artists such as Rosemary Clooney, Ruby Braff, Johnny Frigo, Buddy DeFranco, Harry Allen and, of course, Bucky Pizzarelli. He was featured opposite Donna Summer, Jon Secada and Roberta Flack on the GRAMMY Award-winning CD, Songs from the Neighborhood: The Music of Mr. Rogers in 2005. Pizzarelli has performed on the country's most popular national television shows such as "The Tonight Show Starring Jimmy Fallon," "Conan," "Great Performances" and the talk shows of Jay Leno, David Letterman, Regis Philbin, and the Macy's Thanksgiving Day Parade. Tickets go on sale to the general public on May 31 at noon. Only members of City Winery Chicago's signature VinoFile™ program have access to ticket sales today in addition to receiving: a waiver of ticket service fees; free valet parking; Restaurant Loyalty Rewards, such as a free pair of VIP concert tickets for every $500 spent on food & beverage in the restaurant; exclusive membership-only events; and access to the proprietary City Winery Virtual Sommelier™, which helps make suggestions for wines one might enjoy based on past consumption at the venue. Reverend Peyton's Big Damn Band, Devil in a Woodpile, Chris Blue, Chick Corea Trio, Liz Longley, Scott Mulvahill and John Pizzarelli Trio join a diverse mix of the most respected names in pop, rock, jazz, blues, world music, theater, dance, spoken word and comedy presented at City Winery Chicago, including previously announced headliners and supporting acts: Sidewalk Chalk with Adam Ness (May 29); Eric Roberson (May 30-Jun. 1); Oleta Adams(Jun. 3); Al Stewart (Jun. 4-5); Brian McKnight (Jun. 6-7, 7 & 9:30pm); Joe Purdy with Raye Zaragoza (Jun. 8); Joan Armatrading (Jun. 9-10, 12-14);Greg Laswell (Jun. 15); Jeffrey Foucault with Dusty Heart (Jun. 17); Indigenous (Jun. 18); Book Reading, Signing, and Q&A with Roxane Gay (Jun. 19, 7:30pm); Edwin McCain (Jun. 20); David Ramirez with Matt Wright (Jun. 21); Paula Cole (Jun. 22); Hip Hop Yoga (Jun. 23, 11am &1:30pm); Griffin House(Jun. 23); The Manhattans featuring Gerald Alston (Jun. 24); Chris Rob with Brandon Markell Holmes (Jun. 25); Lit (Jun. 27); Red Wanting Blue with Liz Brasher (Jun. 28); Marc Cohn with Clarence Bucaro (Jun. 29); Capitol Steps (Jul. 1, 7pm); Dennis Quaid & the Sharks (Jul. 2); Miki Howard (Jul. 3); Mindi Abair & the Boneshakers (Jul. 5); Corky Siegel's Chamber Blues with Lynne Jordan (Jul. 6); Carbon Leaf (Jul. 7, 6 & 9pm); The James Hunter Six (Jul. 8); Howard Jones (Jul. 9); Anthony David (Jul. 11); The Bacon Brothers (Jul. 12, 6:30 & 9:30pm); We Hate Movies (Jul. 13); Mac McAnally (Jul. 14, 7pm);Wayne 'The Train' Hancock & Scott H. Biram (Jul. 15); She's Crafty (Jul. 16); Roger Clyne (Jul. 19); Kenny Lattimore (Jul. 20, 7 & 10pm); Purple Veins(Jul. 22); Corazon de Granada (Jul. 25); Sonny Landreth (Jul. 27); God Street Wine (Jul. 29); Ian Maksin & Guitarra Azul (Jul. 30); Sawyer Fredericks withBeth Bombara (Aug. 1); Pat McGee (Aug. 3); Lori McKenna (Aug. 4); Kevin Whalum (Aug. 5, 7pm); Tower of Power (Aug. 8-9 & Aug. 10, 7 & 10pm); Vivian Green (Aug. 11, 7 &10pm); Over the Rhine (Aug. 12); Jean-Luc Ponty (Aug. 13-14); Talisk & Doolin' (Aug. 15); Robben Ford (Aug. 16); Ari Hest (Aug. 17); Don McLean (Aug. 19); Rachelle Ferrell (Aug. 24-25, 7 & 10pm); Justin Hayward with Michael Dawes (Aug. 26, 4:30 & 8pm); Jeff Bradshaw featuringGlenn Lewis & Teedra Moses (Aug. 29, 7 & 9:30pm); Average White Band (Sept. 5, 6:30 & 9pm); Jesse Colin Young (Sept. 13); Dar Williams (Sept. 16);Canned Heat (Sept. 17); Matthew Perryman Jones with Molly Parden (Sept. 23); Willy Porter Band with Martyn Joseph (Sept. 28); Jump, Little Childrenwith Michael Flynn (Oct. 1); Jane Monheit (Oct. 3); BoDeans (Nov. 24, 7& 10pm) and Jane Lynch (Nov. 30, 7 & 10p). Opened in 2012, City Winery Chicago is a fully operational winery, restaurant with outdoor patio, concert hall and private event space located in the heart of the West Loop at 1200 W. Randolph, in the historic urban Fulton Market district. Once a refrigerated food distribution warehouse, the 1911 building has been transformed into a contemporary 33,000 square foot haven for those passionate about wine, music and culinary arts. The décor evokes the romance of being in wine country, from the exposed stainless steel fermenting tanks and French oak barrels, to the aroma of fermenting grapes. The West Loop's only fully operation winery has produced dozens of in-house wines sourced from vineyards in California, Oregon, Washington, Argentina and Chile, including a Wine Enthusiast 92-point 2015 Verna's Vineyard Reserve Pinot Noir. With more than 400 unique producers from around the world City Winery is recognized with 2014 and 2015 Best of Awards of Excellence "for having one of the most outstanding restaurant wine lists in the world" by Wine Spectator. The globally inspired, locally sourced, wine-focused food menu is conceived for pairing and sharing. The concert hall accommodates up to 300 guests, all seated at tables with complete beverage and dining service, ensuring a comfortable "listening room" experience enhanced by a state-of-the-art Meyer Sound system. Riedel is the official and exclusive provider of glassware, showing City Winery's commitment to enjoying quality wine in a quality vessel. American Airlines is the Official Airline and Virgin Hotels Chicago is the Official Hotel of City Winery. For more information, please visit www.citywinery.com.